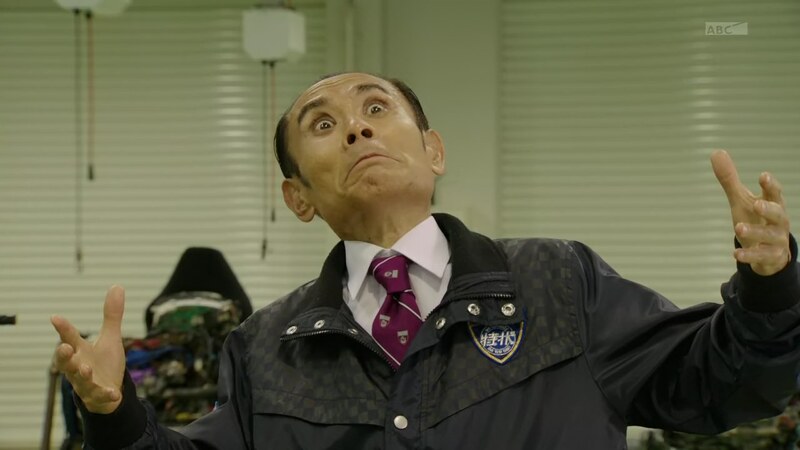 Recap: Kamen Rider Drive, Episode 46 – Why Did They Have to Fight? Chase sacrifices his life to save Gou. 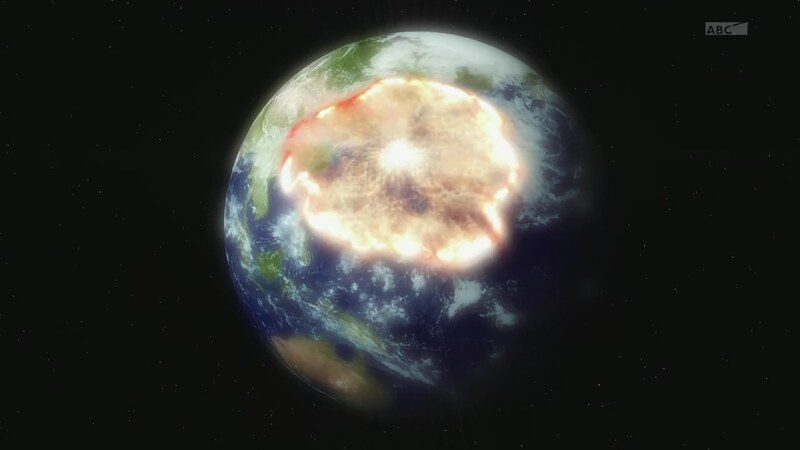 The 000 viral core is gone. Chief Jun and Kyu see Shinnosuke has reached the barrier so they activate Rinna’s program to interrupt the electricity in the building. Otta and Rinna do their part at the SSDC and the barrier shuts off. Back in the basement, Gou is beside himself at Chase’s decision. But Banno emerges from the fire, laughing that Chase’s death was in vain. Gou henshins and channels his anger into fighting his worthless father. Banno tries breaking Gou down with words, but he won’t have any of it. Kiriko tries to hurry to the SSDC when it suddenly starts raining. She realizes this must be the day of the second Global Freeze. Banno gets the upper hand on an injured and weak Gou and gives him one swift kick before walking away. That reenergizes Gou and drives him to stand. Banno cannot believe it. Gou should have no power left. But Gou is ready to continue fighting. Gou uses the Signal Bike and uphenshins to Mach Chaser. Banno is shocked. This form is impossible! But Gou uses Chase’s power and gives Banno everything he’s got. Banno just absolutely cannot believe any of this is happening. Mach should not be able to surpass Gold Drive’s power. Banno takes Chase’s Signal Ax and gun as he zaps Gou. But the Shift Cars arrive and give Gou an extra bit of power to break free of the hold. That allows Gou to take the weapons back. 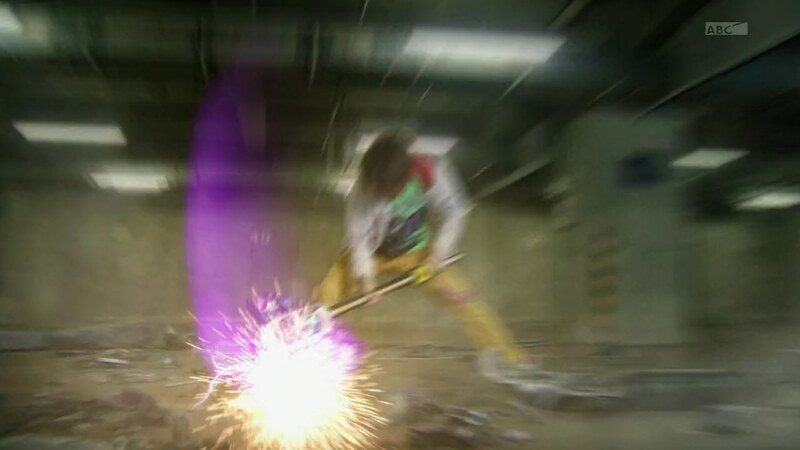 Using both weapons to create an opening, Gou unleashes a Full Throttle Finisher on Banno whose own finisher is just not on par. 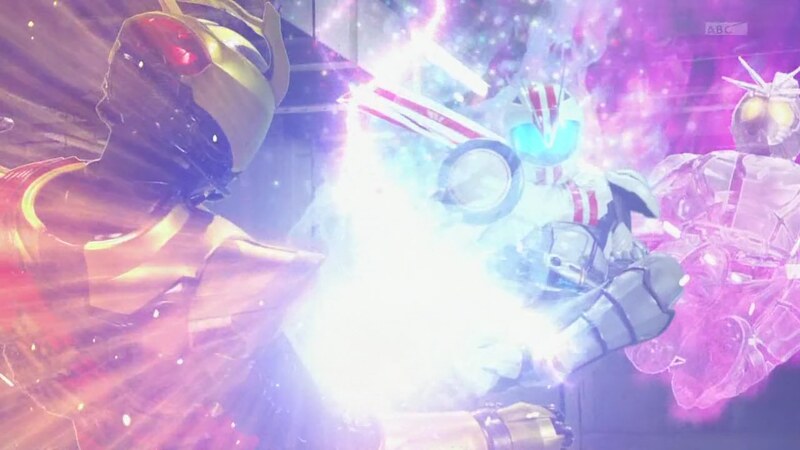 Gold Drive and the Roidmude body both explode. The Gold Driver falls to the ground. Gou dehenshins and falls to his knees as his Neechan arrives. She sees Gold Drive has been defeated, but Gou cries in her arms. “I was a complete idiot,” he says. 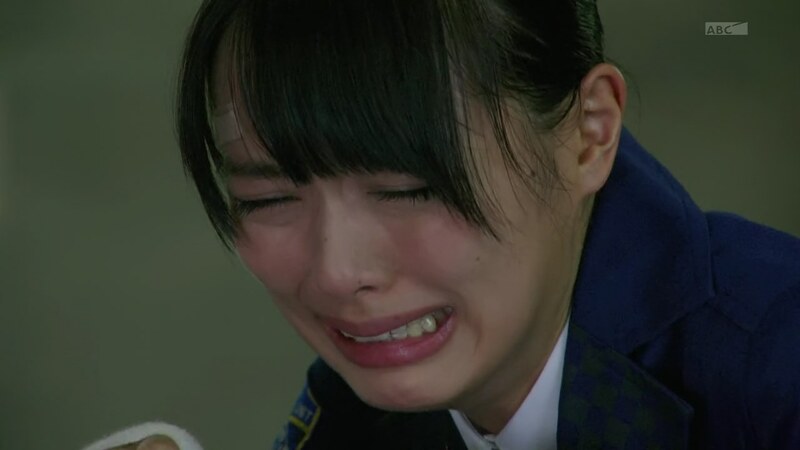 Kiriko understands that Chase has died. She sees his formerly tight pants now just scraps on the ground. She breaks down in tears. 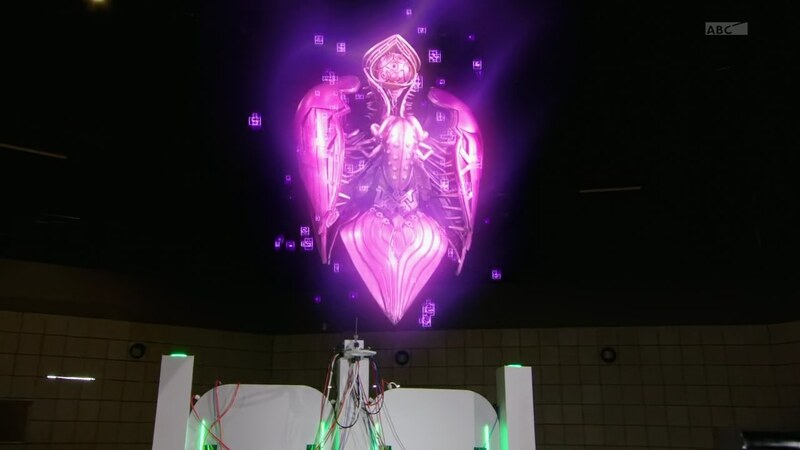 Meanwhile, Shinnosuke, Heart and Medic are finishing off the three Roidmude. But Medic cannot heal the cores. It seems she has lost her power to do so since Banno reprogrammed her. 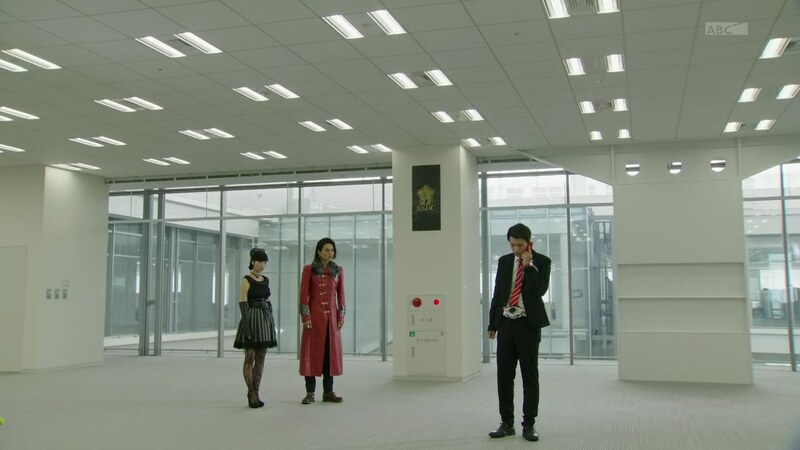 Heart realizes he and Medic are the only Roidmude left. He tells Shinnosuke that after this battle, it’ll be their turn to settle things. Kiriko calls Shinnosuke to tell him what has happened. She asks Shinnosuke to do his best. For Chase too. As Shinnosuke, Heart and Medic mourn Chase, a Gravity Shift! The Global Freeze has officially begun! The Heaviness has begins to spread across the world. Kiriko finds she cannot move even while wearing Shift Cars. Banno suddenly starts cackling again. He’s still alive and excited for Sigma Circular to finish his plan. 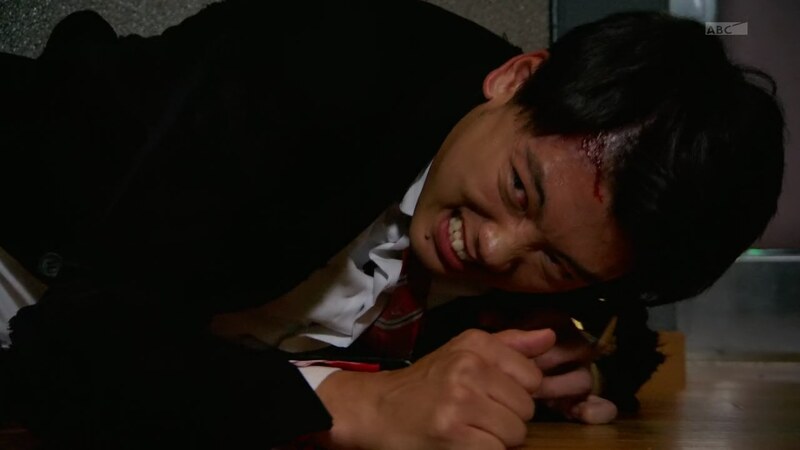 Shinnosuke henshins while Heart and Medic return to Roidmude form. But Medic finds it hard for her to move and overcome the Gravity Shift. She tells the guys to go on ahead while she fights through the Heaviness to follow. Banno says he can still reconstruct his data before he disappears. 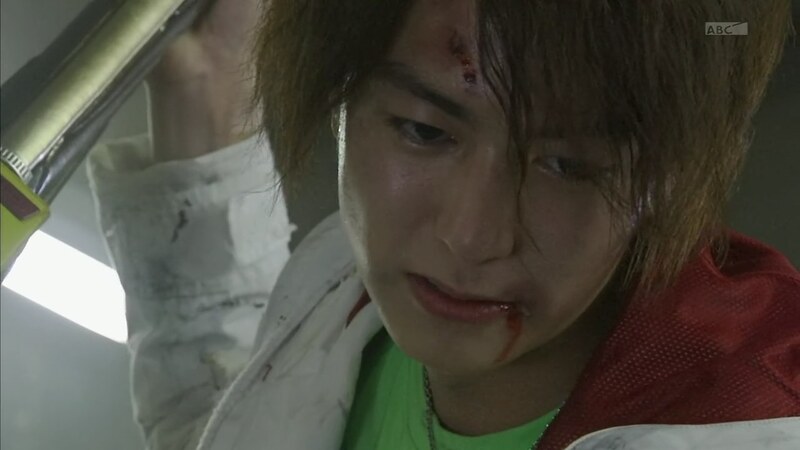 But Gou takes the Signal Ax and approaches his father. Banno pleads with Gou. The Signal Ax is ready. Gou lifts the Ax. Kiriko watches. 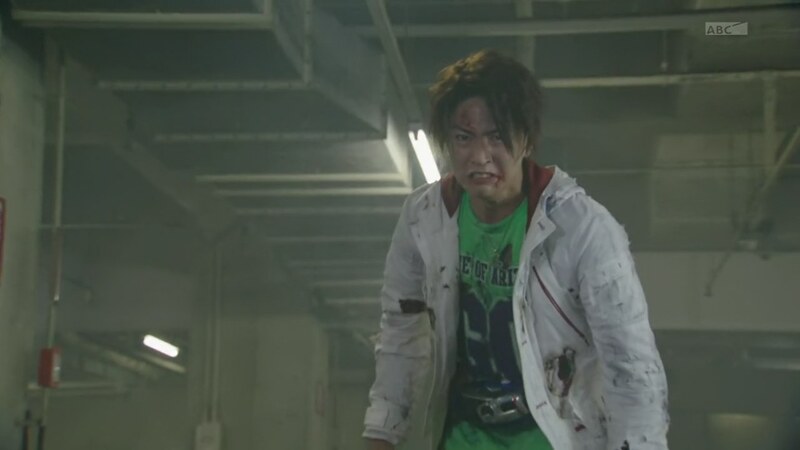 With a smile, Gou swings and kills his evil, worthless father. For good. Gou walks to his sister and gives her his Signal Bike. He’s at his limit, so she can take this and go to Shin-niisan. Kiriko hurries. Shinnosuke and Heart reach the Sigma Circular which is now at full power. It speaks. Sigma Circular begins the conversion of humanity to numbers and data. Shinnosuke and Heart try to stop it, but Sigma simply flies through the air and attacks. Chief Jun and Kyu see the numbers on their arms. Humans around the world are already being turned into data. Sigma completely overpowers Shinnosuke and Heart. Belt-san says they are completely overmatched. But Shinnosuke suggests he and Heart double their power and attack at the same time. That does absolutely nothing. 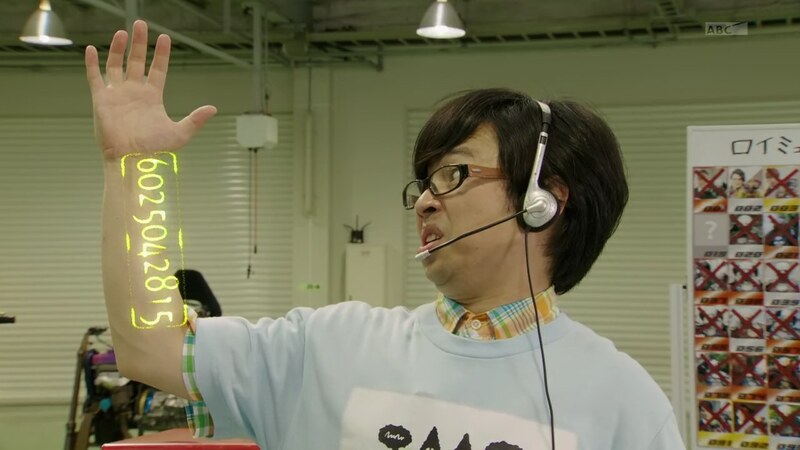 Shinnosuke is forced to dehenshin. Medic arrives and sees the situation. Sigma prepares to destroy them for good. Heart and Medic call to Shinnosuke who struggles to even move. Sigma revs up. Medic stands and decides to sacrifice herself. She uses every last ounce of power she has to heal Shinnosuke as much as she can. Heart sees Medic in her white goddess form as she collapses in Shinnosuke’s arms. Medic dissolves, including her viral core. Heart screams. As does Shinnosuke. It’s time to shift into Operation Overdrive! So, we’re almost there! The End is near. 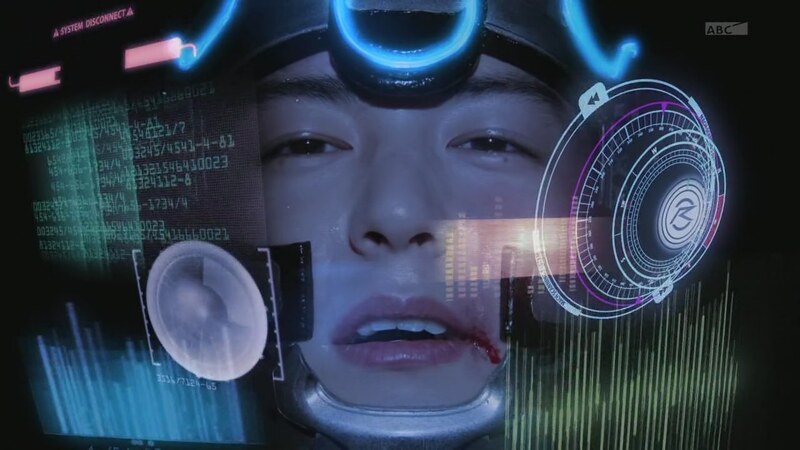 Same with Kiriko who merely fawned over Chase in a shallow way instead of playing up her gratitude and fear from the first Global Freeze and him saving her. We had that one episode with Chase and Kiriko in a romantic, rain-soaked moment. But otherwise, nothing. 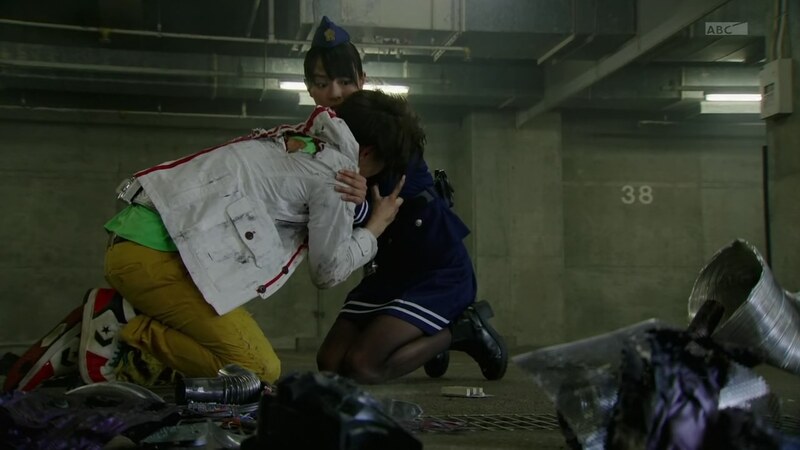 And again, Medic sacrificing herself would’ve been a great climax for her journey to “humanity.” Really so much potential just dropped with regards to the Roidmude, their goals and ultimate development. It would’ve also helped provide a big contrast to Banno’s eventual story too. Anyway, just looking at the action, Gou vs Banno was nice. I definitely liked that final swing by Gou which I hope really was the final swing and Banno doesn’t pop up later as randomly as he did originally. The Sigma Circular just flying about was amusing enough. And it would’ve been nice if the scenes they used for the Global Freeze weren’t recycled from two episodes ago when it apparently was being broadcast through a crystal ball. And Mach Chaser looked kinda awkward as well. Should’ve found a little more seamless way to combine the two suits. 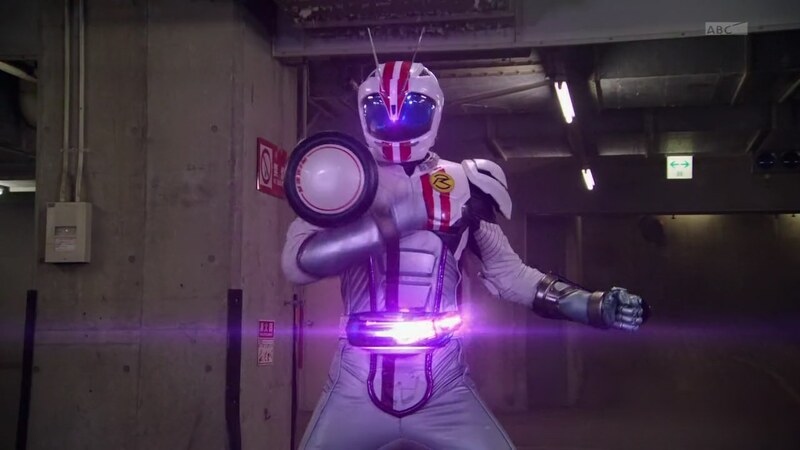 And one little thing, one detail I’ve always liked is the grunt Shinnosuke gives whenever the tire snaps to his body after henshin. It’s a nice little detail I’ve always noticed and enjoyed. Gotta call this one the Kamen Rider Drive Asspulls Episode. Just. So. Many. Asspulls. I mean, come on, Gou getting that new form strong enough to beat Banno came out of nowhere. Heck, Banno even points out that Mach shouldn’t have that form at all. Then there’s Medic’s magical energy transfer ability (I know she can heal, but I never knew she can power up others. everything just feels so hasty. Oh and Mach Chaser (or Chaser Mach, or whatever you call that…. ..thing) is probably the lousiest costume kitbash I have seat. Dead Heat at least has some design sense to it, but this abomination doesn’t. But eh, the will probably turn this one into some overpriced exclusive figure for the collectors. And honestly, this “final battle” between Heart and Shino feels as pointless as the final fight against Kogane in Gaim. At least that one was more of an epilogue filler, but this one is supposed to the epic close. Would have been exciting if, you know, that plot of the whole Shinosuke x Heart rivalry actually moved at least an inch forward.